Light: Partial shade to shade for Hosta varieties. 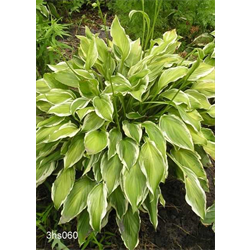 Hostas are the quintessential shade plant known for their foliage. Diminutive flowers in late summer and fall. Find all Hosta varieties for spring shipping here. Pricing is per package and per variety for these hosta plants for sale.